Help those in need achieve their potential as a special education teacher. Start the path to a challenging and rewarding career teaching children with cognitive disabilities, learning disabilities, emotional problems and physical disabilities. A bachelor's degree from California University of Pennsylvania in early childhood education and pre-kindergarten to grade 8 special education is a dual major program that will enable you to earn certification to teach pre-K-grade 4, as well as a license to teach special education for grades Pre-K-8. As part of the regular curriculum, you'll also receive the Pennsylvania Department of Education's Integrative STEM Education Endorsement, an additional credential that documents your ability to integrate science, technology, engineering and math concepts into early childhood and elementary education. For those interested in teaching a broader range of grade levels, a dual major in grades 4-8 education and special education is available as well. It's more than a career. It's a calling. Gain comprehensive knowledge of the special education field and teaching students with exceptionalities. Develop instructional techniques for all students with exceptionalities, including specialized training in applied behavior analysis, behavior modification and working with autistic students. Apply your knowledge in real-life settings though field placements and student teaching. Hands-on Education: Receive hands-on experience during three field placements in high-incidence and low-incidence disabilities, special education and pre-K­-grade 4 education, as well as student teaching practicums where you'll work alongside a supervisor to practice the principles you've learned in your courses. Cal U has a 160-year reputation of producing top-quality teachers in Pennsylvania and beyond. Is the mean annual salary for special education teachers in kindergarten and elementary schools. (Source: Bureau of Labor Statistics). Gain in-depth knowledge of human development and learning. Learn from top faculty and get individualized advising and supervised field experiences with children. Become certified to teach pre-K-grade 4 and special education grades pre-k-8 upon graduation and completion of Pennsylvania certification requirements. Benefit from career support from faculty and Cal U's Career and Professional Development Center. A variety of roles in sheltered workshops and community-living arrangements for adults with disabilities. Cal U special education faculty members are at the top of their fields and have unique qualities that they are able to highlight within the courses they teach. You'll gain expert insight in topics such as applied behavior analysis, the use of technology to teach students communication, interventional strategies, working with students diagnosed with emotional disabilities, classroom management techniques and more. What Do Alumni Like Best About the Program? According to Brenda DiEugenio '04 (Dual B.S. Special/Elementary Education), student teaching was a very valuable experience. "I had the opportunity to learn from exceptional teachers, allowing me to gain an understanding of myself as a teacher and my philosophy on teaching." When you earn your Level I teacher certification in this special education program, you’ll also earn the Integrative STEM Education Endorsement. Cal U is one of the only Pennsylvania universities to offer this in-demand credential as part of the standard teacher preparation curriculum. The Integrative STEM Education Endorsement documents your ability to plan, design and implement instructional strategies that integrate STEM into classroom lessons. The learning activities you’ll learn to create also can be used in maker spaces, tinker labs, fabrication labs and other innovative settings. 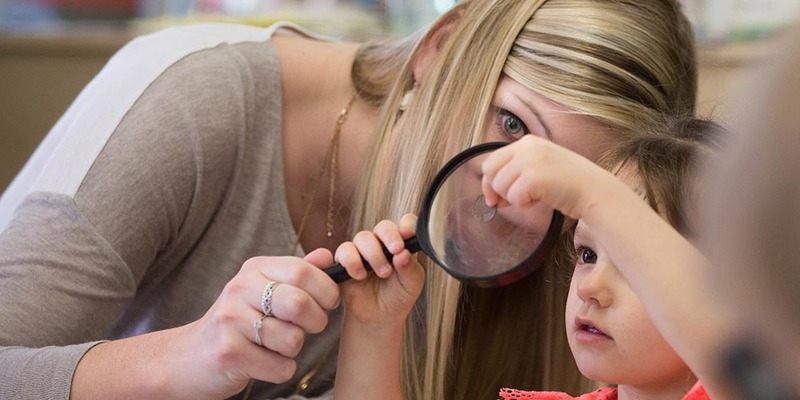 This four-year dual major bachelor's degree results in certification to teach pre-K-grade 4, as well as pre-K-8 special education upon graduation and completion of Pennsylvania certification requirements. Degree courses will prepare you to meet the standards of the Council for Exceptional Children (CEC).